Something is moving in the air; on Thursday, April 4, Comites NSW inaugurated their new offices in the main street of Five Dock, at 72A Great North Road. 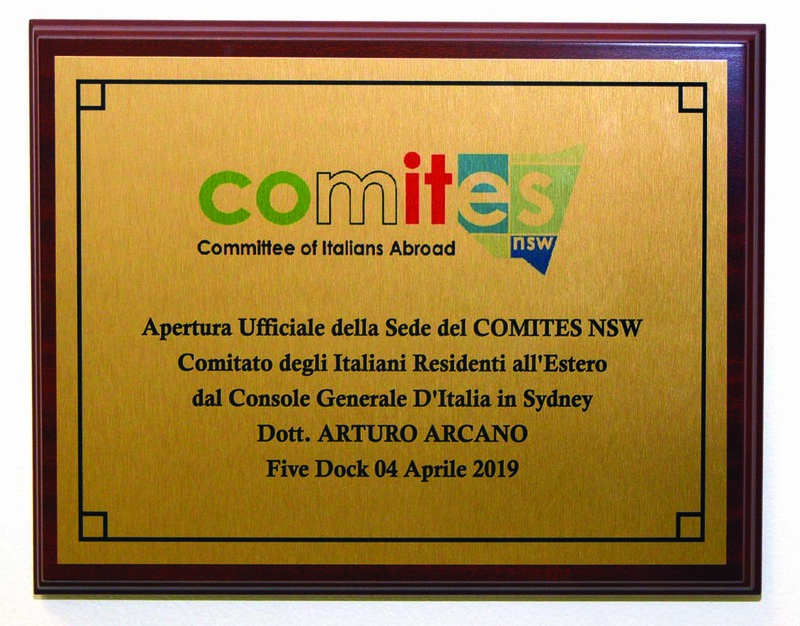 Comites NSW is an Italian organisation which functions with diplomatic and consular representation. 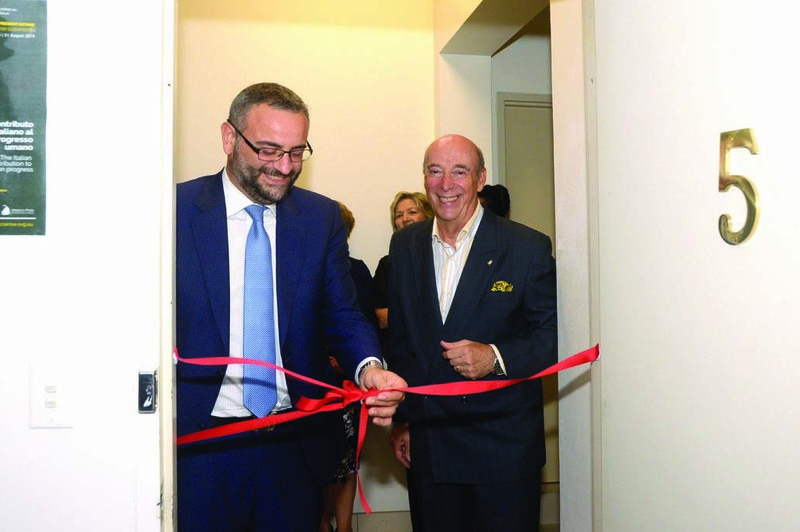 Present for the occasion was the Italian Consul General in Sydney, Arturo Arcano, and other personalities from the Italian community, alongside an almost complete executive team. President of Comites, Maurizio Aloisi, hosted the inauguration. With justified pride, Aloisi retraced the tortuous pathway taken before arriving at the new and brilliant location. “It was not easy to find a place like this - a central location in an Italian suburb which is easily reachable, with a lot of parking nearby and an office which we can allow for ourselves with the financing of the ministry,” he said. Aloisi then continued explaining that Comites NSW is a particular phenomenon being, in Australia, the only body which has its own autonomous office available without having to rely on support or consular assistance. For 15 years, Comites NSW was set up in the headquarters of CO.AS.IT..
“We can call this move an arrival because, after many years, we are able to have our own headquarters,” Aloisi said. “Comites is an important institution; we are elected by the Italian community to represent those to whom we give our services, and this seat must be a point of reference in all cases of need. Aloisi also announced the intention to make the offices of Comites available to all associations which do not have their own headquarters or meeting place. “We are making available, for free, this air conditioned office which is equipped with computers, telephone, video recorder and large format projector,” he said. The new headquarters were inaugurated with a memorial plaque, unveiled at the entrance to the office by Arcano in the presence of all participants. “I thank you wholeheartedly for wanting to pay homage to me by placing my name on the plaque,” Arcano declared. “You have surprised me and I truly thank you. “It is homage which is absolutely undeserved... But I thank you wholeheartedly. Refreshments were served during which the members of Comites and president Aloisi spoke with all participants at the inauguration, exchanging advice and opinions. “Nothing remains but to give my wishes and congratulations to Comites, because it has taken a further step toward autonomy in having, finally, an official headquarters. “It cost some sacrifice, some time but in the end it was able to have its own offices. “It’s important that there is awareness for what Comites means for the Italian community. This story appeared in the Monday April 8, 2019 edition of La Fiamma.